A computer is a crucial component of the academic success of a student. It offers a unique platform to gain the up-to-date information and to analyse the use of that information for school projects. Additionally, computers help students grow accustomed to writing professional material like presentations, documentation which is greatly encouraged in the school. Computers in the classroom include digital technology used to enhance, supplement, or replace a traditional educational curriculum. 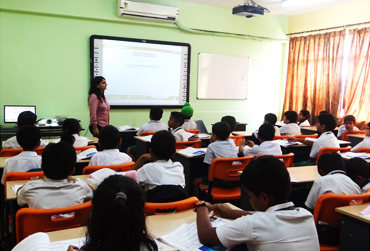 Computers installed have become popular tool for teachers, since they are able to present an important interactive component and allow students a diverse and exciting way of integrating information into their lessons. Some recent technologies that have been included like the digital whiteboard and educational video games both of which are used extensively in school.